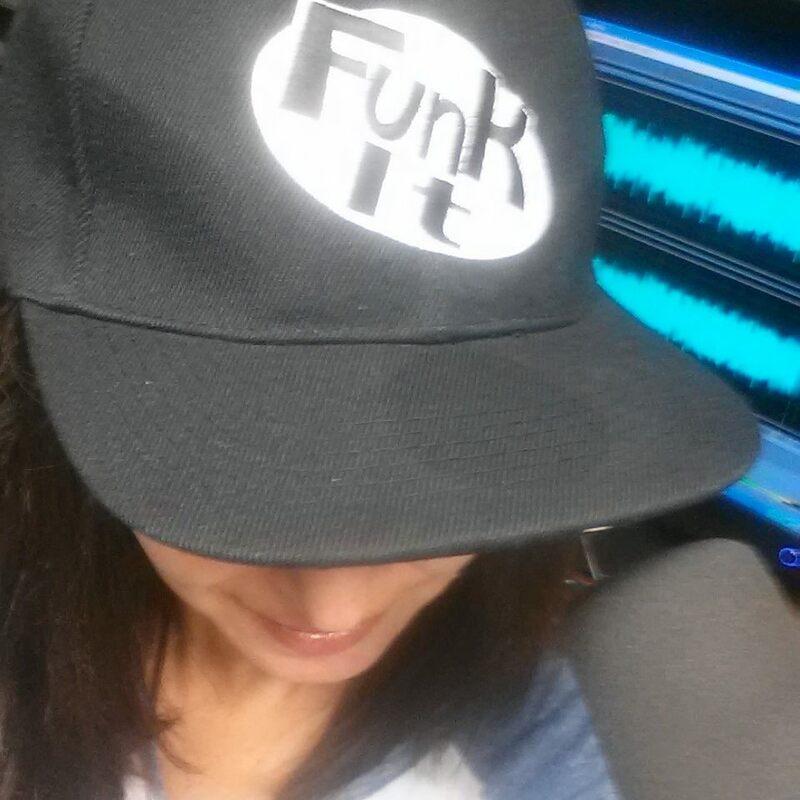 LISTEN to Beth Ricanati, MD! Beth Ricanati, MD is the author of Braided: A Journey of a Thousand Challahs (now available, She Writes Press, paperback), a beautiful gem of a book perfect for the season when we focus on slowing down, baking, family time, spiritual reflection, and gratitude. As a physician focusing on women's health, a mother, a daughter, a wife, a friend, Ricanati felt like many today—like she was on a flying carousel, always busy and disconnected from her body and spirit. But when a friend challenged Ricanati to take the time to make challah from scratch for Shabbas dinner, she was knocked out of her stupor and realized: It was time for me to change. 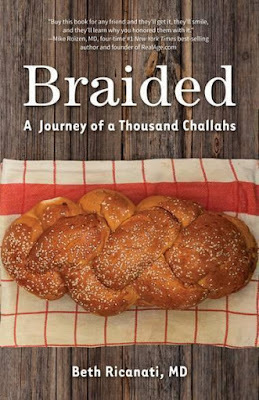 Part memoir, part cookbook, and part manifesto, Braided is a heartwarming and powerful exploration of Ricanati's personal tradition of baking this challah every Friday. It has become a self-care practice that has sustained her for the last 10 years, allowing her to reconnect with her family, her home, her community, and her faith, and helped ground her again to be present in her own life. "I used to just prescribe medications[...]; now I also prescribe baking challah," Ricanati says. "I've learned that making food can be medicinal in its own right” – even if it is white bread! 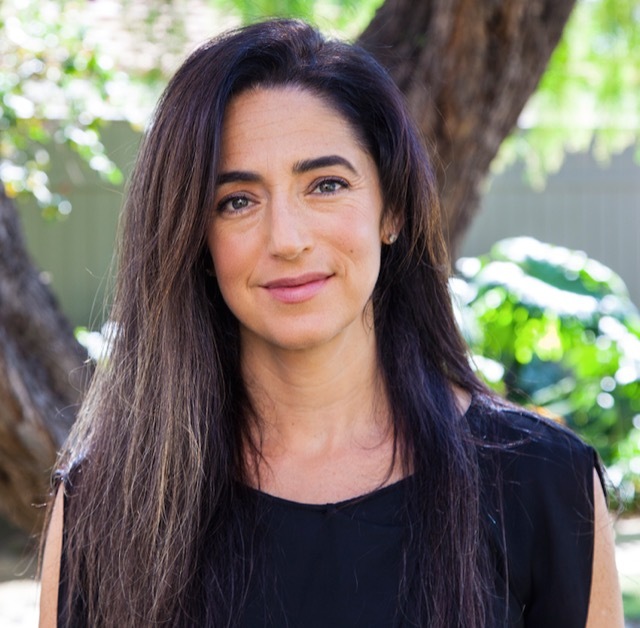 Beth Ricanati, MD, author of the new release BRAIDED: A Journey of a Thousand Challahs, has built her career around bringing wellness into women’s everyday lives, especially busy moms juggling life and children. She received her undergraduate degree from the University of Pennsylvania and her MD from Case Western Reserve University; she completed her internal medicine residency at Columbia Presbyterian in NYC. She spent ten years in practice at the Columbia Presbyterian’s Women’s Health Center, the Cleveland Clinic’s Center for Women’s Health, and the Cleveland Clinic’s Wellness Institute. In addition to the frequent online writing that she does now, Ricanati has been a guest contributor for television, print, and online media, and has published medical articles in peer-reviewed journals. Ricanati lives in the Los Angeles area with her family and one challah-loving dog. Learn more at https://housecallsforwellness.com.